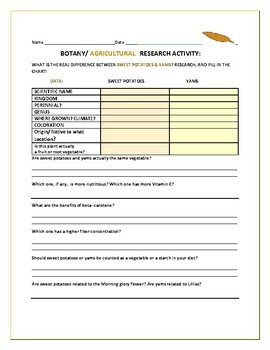 This activity requires students to research several facts about these two root vegetables. There are interesting facts students will learn. This is good for a cooking class, or for a Thanksgiving cultural activity. Thanks ever so much for visiting. Happy Thanksgiving, everyone!